Most roofs Most roofs are composed of asphalt shingles. Yours may very well be included in this majority. If it is, it will probably last about 20 years and then be due for a replacement. If your roof is nearing the end of its lifespan, it’s time to think about your roof replacement options. The best time of the year to have a roofing contractor install your new roof may not be what you think. It’s probably a given that winter isn’t the best time to replace a roof, for obvious reasons. Aside from the snow and ice, the cold temperatures can make roofing materials harden and brittle. Shingles could even crack during installation. Tools roofers use don’t work as well in cold temperatures , and sealants won’t be able to be applied as effectively; shingles will take much longer to adhere to each other than they would in higher temperatures. If you’re planning ahead to get your roof repaired or replaced in the spring, you might as well get it done in the fall, if possible. If your roof is deteriorating or even has a few small problems, these issues will only worsen over the winter as the snow and ice pile up, melt, and refreeze. If you aren't having any problems with your roof, however, spring could be a great time to replace it. It's not usually as busy in the roofing industry as later in the summer and in the fall, so materials may be less expensive. The beginning of summer is a great time to get your roof replaced. The middle of summer, on the other hand, when temperatures are at their highest here in Iowa, may not the best time. Most roofing companies install roofs all summer long, but the high heat and humidity can make it unpleasant for roofers and also affect the materials. The high heat could soften the asphalt in the shingles, making them less durable during installation, so they can get scuffed up when walked on. The best weather of the year for roof installation is in the fall, when the temperature ranges somewhere between 45 and 85 degrees Fahrenheit (no lower than 40). The cooler temperature during the spring and fall allows roof installers to work longer hours without getting overheated, and the mild weather makes installation easier. Shingles will have time to seal effectively and will be prepared to take on the elements during the harsh winter. That being said, the fall is also one of the busiest times of the year for roof installation. 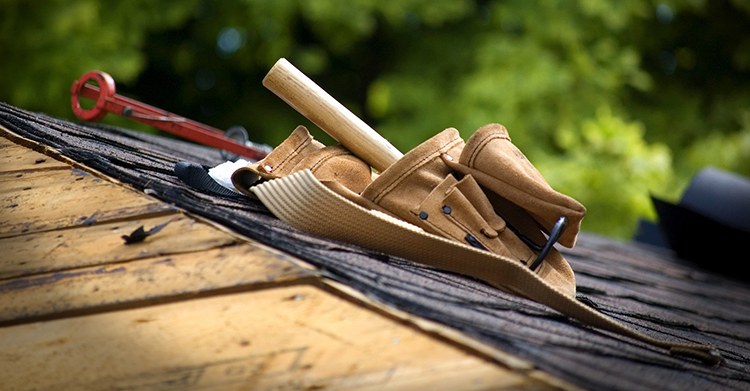 Make sure you plan ahead and contact your roofing contractor before their schedule is filled. Late summer and early fall are very busy times of the year for roofing contractors, which allows them to raise their prices. Many homeowners realize winter is right around the corner and want their roof replaced before it's too late, so this is crunch time! If you want to get by a bit more cheaply, schedule your roof to be replaced before this time. Many homeowners don’t want to invest in a brand new roof (yes, we know it’s expensive). So instead, they put it off as long as possible and wait until a dire situation presents itself, forcing them to make a quick decision and finally get their long-overdue roof replacement scheduled. We do not recommend this. When you wait until your roof springs a leak or succumbs to another major problem, it’s very likely that these issues will damage other aspects of your home, and you could end up having to pay for a lot more than just your roof. Additionally, planning ahead and replacing your roof on time will allow you to make well-educated decisions. Installing a new roof shouldn’t be taken lightly. It's a very large investment that will impact the look of your home on the outside and the comfort and efficiency levels inside. Take the time to do your research, hire a qualified roofing contractor, and carefully select your roofing materials to fit your home and your budget. PLAN AHEAD. The best way to take care of your home and roof is to replace it when it needs to be replaced, not after. Plan ahead to get the project done at a good time before it’s too busy, too hot, or too cold. Don't hesitate to talk to a trustworthy roofing contracting company and see what time of the year they recommend for you. Hedrick Construction installs roofs on residential and commercial properties. If you need your roof repaired or replaced, contact us today, and we can get you a free roofing estimate. And be sure to check out our free guide to find out if it's time to replace your roof. Interested in additional information about getting a new roof?